The biggest threat to nuclear energy is... it's most fervant supporters. it's expensive. It takes a long time to get approval for the construction of a nuclear power station and then it takes a long time to build. We really need to stop greenhouse gas emissions immediately, not in a decade or two. Meanwhile renewables like wind, solar PV and solar thermal are becoming cheaper and cheaper and can be built much more quickly. like all large scale thermal generating plant a nuclear power station needs amply supplies of cold water for cooling. Over the recent years we have seen on a number of occassions that power stations have had to reduce or even stop output as the incoming cooling water was too warm. the threat of terrorism. 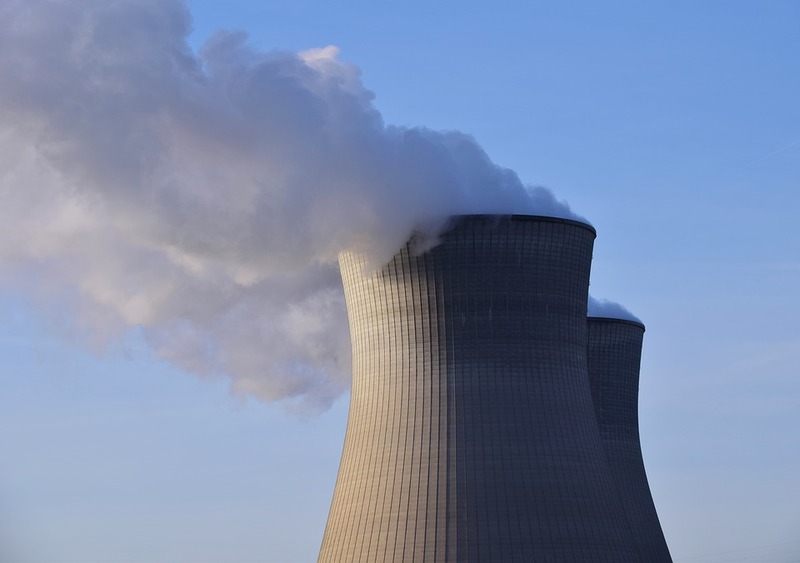 Terrorists could attack a nuclear power station with the intention of setting off a bomb in order to contaminate the surrounding area with radioactivity. Or they could sabotage a power station in order to, at the very least, render it inoperable without an expensive decontamination process. the nuclear waste issue, at least in the minds of the public, seems Intractable and only gets worse. It takes many years to decommission a nuclear power station and the estimates of the costs involved seem to rise every year. These are not necessarily fatal disadvantages. However in my opinion the biggest threat to nuclear energy is its most fervant supporters. Over thirty years ago it became apparant that climate change was a problem that required reducing our dependance on fossil fuels. At that time, the supporters of nuclear energy saw an opportunity to promote their technology. Unfortunately, they seem to have chosen an all or nothing approach: they apparently wanted to be the sole replacement for fossil fuels. So instead of working together with the renewable energy industry, they treated it as a competitor. It appears that they have helped to promote the myths of the deniers that renewables are expensive and unreliable. In doing so they have now come to be regarded by the general public as deniers and have lost all trust. To compound the problem, for years they have been making extravagant promises and have failed to deliver. A recent post from a nuclear supporter combined the two faults: it showed an image of a reactor on the back of a trailer and claimed that it would replace a large number of wind turbines. It also mentioned how much heavier the windturbines were and the quantities of materials required to make them. The attack on renewables is obvious. The extravagant promise is perhaps less so. You have to know that such a reactor is still not actually ready to be produced. In addition, a reactor by itself, will not generate electricity: you need heat exchangers, a steam generator, a generator, pipes, pumps and a containment building. Such attacks are ultimately counter productive: they might fool some people for a little while, but in the long term they contribute to the feeling that the nuclear industry Is unreliable. So, a plea to the fanatical nuclear power supporters: think twice about what you're posting. Renewables are not your enemy and the public are not stupid.